LEBANON, OHIO, USA - OCTOBER 12, 2018: President Donald Trump states "We lost our way" at a rally at the Warren County Fairgrounds in Ohio. 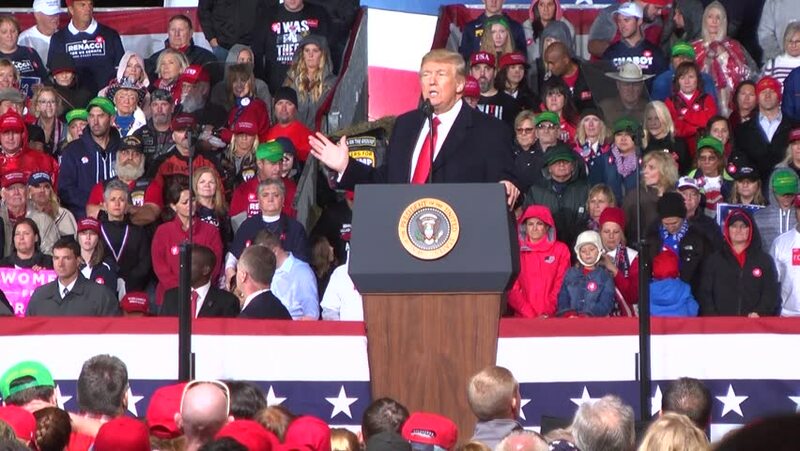 hd00:26LEBANON, OHIO, USA - OCTOBER 12, 2018: President Donald Trump states "I think we're going to get the African American vote" at a rally at the Warren County Fairgrounds in Ohio. hd00:33LEBANON, OHIO, USA - OCTOBER 12, 2018: President Donald Trump discusses the border wall at a rally at the Warren County Fairgrounds in Ohio. 4k00:21USA, FLORIDA, OCTOBER - 11, 2016: Hillary Clinton Miami Dade College. Al Gore. Editorial only. hd00:12ZAGREB, CROATIA - JUNE 16TH, 2018 : Croatian football fans celebrate win of Croatia football team vs Nigeria with the result of 2-0 on Fifa World cup 2018 on Ban Jelacic Square in Zagreb, Croatia. 4k00:23KOENJI, TOKYO, JAPAN - 26 AUGUST 2018 : Scenery of AWA ODORI FESTIVAL (AWA DANCE FESTIVAL) in KOENJI.